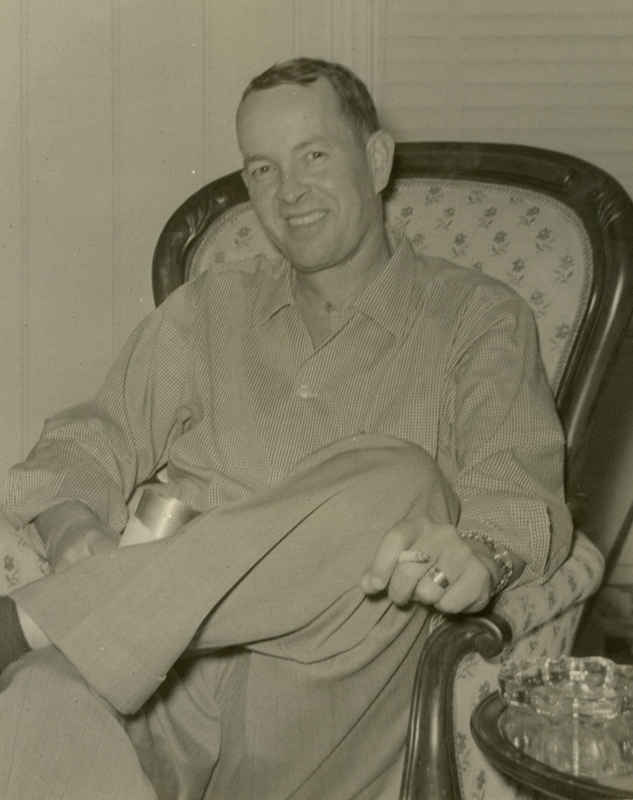 “People were so nice to save their throw-away Coke bottles for me and Russell would check all the discount stores and dime stores on his territory looking for the type of nylon sock we used and for styrofoam balls at the best price. We found lace trimming cheap at a place in Grenada and bought it by the pound. This way we kept the investment in each doll very low. I would make them assembly line fashion, glueing the balls on the bottles twenty or more at a time, then making their faces and putting their yarn hair on, and then dressing them. No two looked exactly alike, and this was one of their attributes. People felt like they had bought a one-of-a-kind item. “We met a lot of nice people at the arts and crafts shows and became friends with many of them and swapped our crafts. The last show we signed up for was the fall Canton Flea Market, which was always our biggest and best show. This was in October, 1982. I had made over one hundred dolls and dozens of little stuffed dolls for Christmas tree ornaments, as well as stuffed pumpkins and trick-or-treat bags and other items, and the living room was crammed full of tables holding all the things I planned to take. We were to go on Thursday and on Sunday Russell went to the hospital for tests because he was having trouble swallowing his food. On Tuesday we learned that he had an [abdominal] aneurysm and would have to go to Jackson for surgery. From the perspective of age and time, I don’t know why I didn’t jump in and make that last Canton Flea Market trip happen. I guess I was young and cocky and busy and just didn’t realize how crushed Sara was at this disappointment. What I do recall quite clearly is how frightened she and Russell were. He had had a few health scares over the years, as those who smoke 3 packs of Salems a day for 40+ years might expect, but this was a bombshell. He was walking around with a football-sized balloon pooching off his aorta, just waiting to rupture. When he called me at work in Yazoo City, I could hear the fear in his voice and he was fighting back tears. You grow up very quickly when you realize that your father can be scared and can cry and, God forbid, can die. The dolls just didn’t seem very important in the great scheme of things at that point. Russell was a trial for his doctors. They were pushing everything they had into his lungs, valiantly trying to shape him up enough to go in and take care of that aneurysm, while he lit one cigarette after another. It’s a wonder he didn’t blow Baptist Hospital right off of North State Street. Finally, his altogether exasperated cardiologist came in, wrinkled his nose at the pall of tobacco smoke hanging in the air and declared, “I’m sorry, Mr. Criss, but you’re going to die. I can’t help you.” Russell put that last half-pack of Salems on the nightstand and never touched another one again. He still had that stale cigarette pack, with all 11 cigarettes inside, when he died ten years later. Way to go, Daddy.